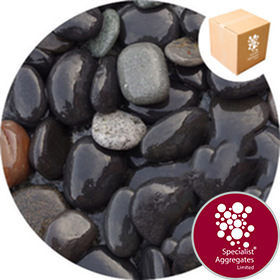 Washed fully rounded black granite gravel for use in interior and exterior landscaping projects. Particle size: Nominal 25-75mm (1 to 3 inches across). Washed, fully rounded natural rounded black granite gravel. 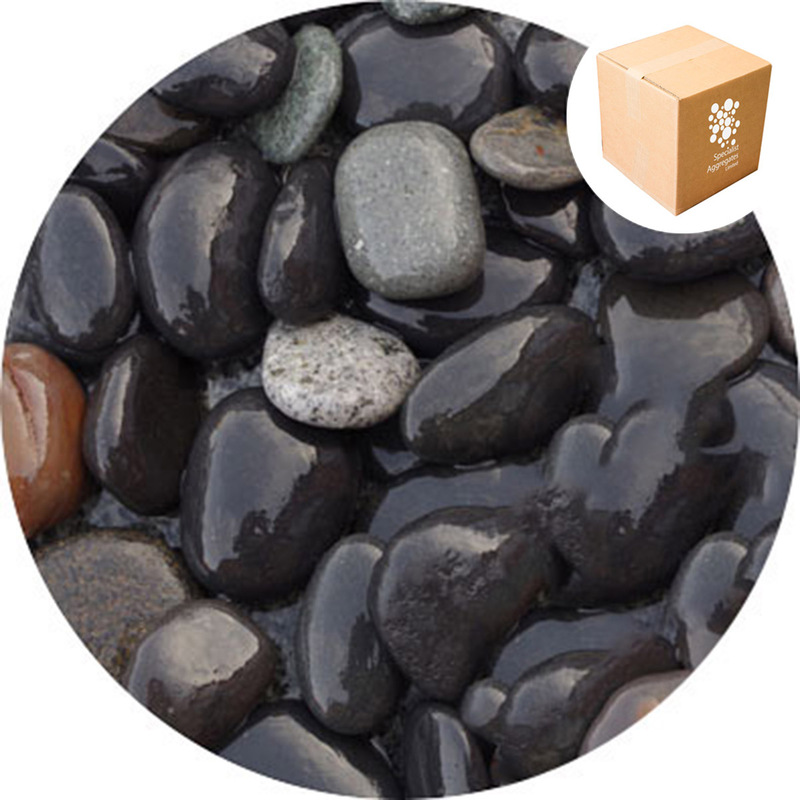 (Product shown wet) When loose laid the gravel provides a durable surface to landscaped areas. 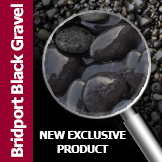 Our Bridport Black Gravel is chemically inert, dust free and free of water soluble components. Design Specify: 20mm Bridport Black Gravel from Specialist Aggregates.